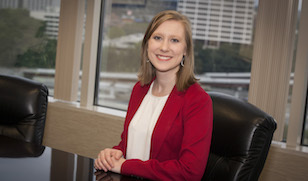 Ms. Thibodeaux serves as Client Services Administrator for Bridges and Dunn-Rankin, LLP. She grew up in Lafayette, Louisiana, and attended The University of Louisiana at Lafayette. Anna and her husband, Kane, reside in Smyrna. Outside of work she enjoys spending time with family and friends, traveling, sewing, cooking Cajun dishes and competing in sports with Kane.